Harry K. Schwartz and Renee Kuhlman prepared a report on state Historic Tax Credit programs. 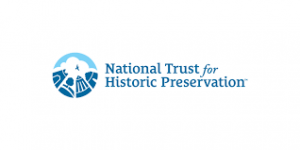 For more information, contact the National Trust for Historic Preservation. After examining all of the state historic tax credit programs to determine their impact on use of federal tax credits, researchers found that the presence of an active state tax credit program boosts the use of the federal credit on average between $15 and $35 million in certified expenditures. That means the states with active tax credit programs are bringing in between $3 to $7 million federal dollars, which would not otherwise be available, to the state. Leveraging Federal Economic Development with State Rehab Tax Credits by Jeffrey Oakman and Marvin Ward, Washington, DC Office of Revenue Analysis, 2012. Today, thirty-three states in the country offer credits against state taxes to provide incentives for the appropriate rehabilitation of historic buildings. In most cases these tax credits take the form of the very successful federal income tax credit for historic rehabilitation contained in Section 47 of the Internal Revenue Code. Criteria establishing what buildings qualify for the credit. Standards to ensure that the rehabilitation preserves the historic and architectural character of the building. A method for calculating the value of the credit awarded, reflected as a percentage of the amount expended on that portion of the rehabilitation work that is approved as a certified rehabilitation. A minimum amount, or threshold, required to be invested in the rehabilitation. A mechanism for administering the program, generally involving the state historic preservation office and, in some cases, the state department of revenue or the state department of economic development.